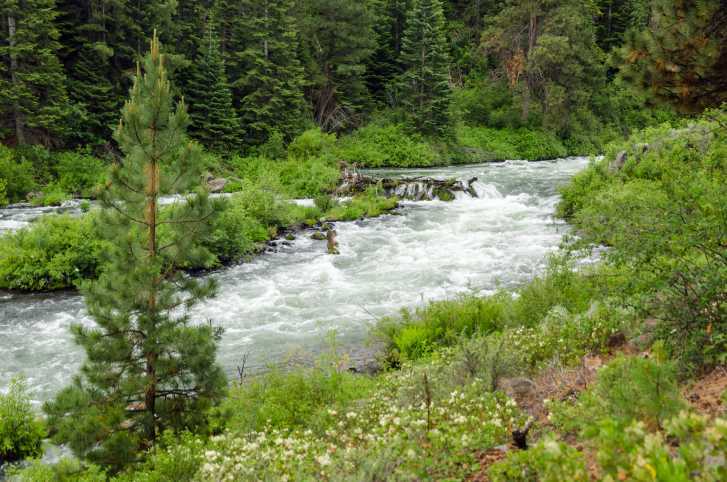 The Deschutes National Forest is a hiker’s paradise with over 348,100 acres of old growth. Its unique landscape includes the Newberry National Volcanic Monument where one can find cinder cones, lava flows and lava tubes. There are also 250 known caves to find and explore, and six rivers for kayaking, canoeing and fishing. The National Wilderness Preservation System has designated five official wilderness areas within the forest, full of unique flora and fauna.